Soil acidity is a major constraint for farmers throughout the Wheatbelt. Historically the most common control method has been the application of coastal limesand to increase soil pH. High transportation costs make this practice exceedingly expensive and unsustainable for many Wheatbelt farmers with up to 80% of the overall cost spent on freight. 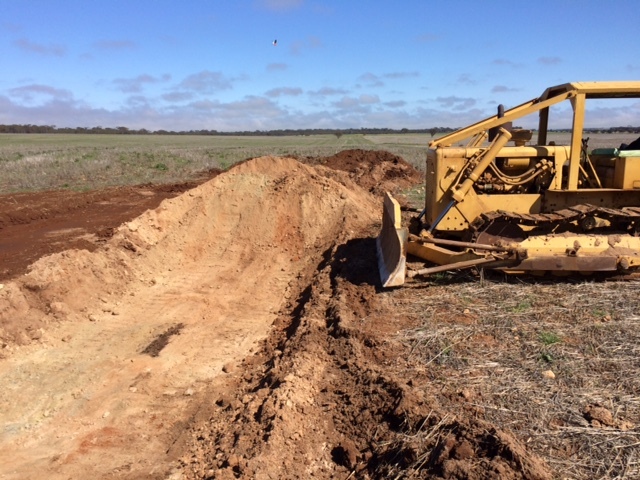 The Merriden and Districts Farm Improvement Group (MADFIG), in partnership with Joel Andrew of MapIQ, Wheatbelt NRM and Farmer Greg Rutherford wanted to test the theory that liming could be more viable if local sources of lime were used. On farm sources of carbonate can be found in Eastern Wheatbelt soils. They can sometimes be identified by the presence of calcium-magnesium carbonate rocks on the soil surface. Other indicators include small white flecks on the surface of the soil. A simple test of adding vinegar to a soil sample provides a good indication of the presence of carbonate. If the vinegar fizzes, carbonate is present. The samples that fizzed most were then sent to a laboratory for neutralizing-value (NV) testing. The highest came back at 49% NV. This is not as high as generally found in coastal limesand deposits so this trial also tested what volume would need to be applied to gain the required outcome. The trial demonstrated that to increase the surface pH from 5.1 to 6.4 the rate of application required was 8t/ha. By contrast it is likely that 1-2 t/ha of coastal limesand would be required to achieve a similar result. The savings on transport however make the local source economically viable.